Kiosk parking may be available (costing roughly $2.00 per hour) on streets near our office, including Arch Street between 7th and 8th streets, 9th Street north of Market, and Appletree Street between 7th and 8th. There are a number of garages and lots near the office. Mid-day parking typically costs $15-$20. 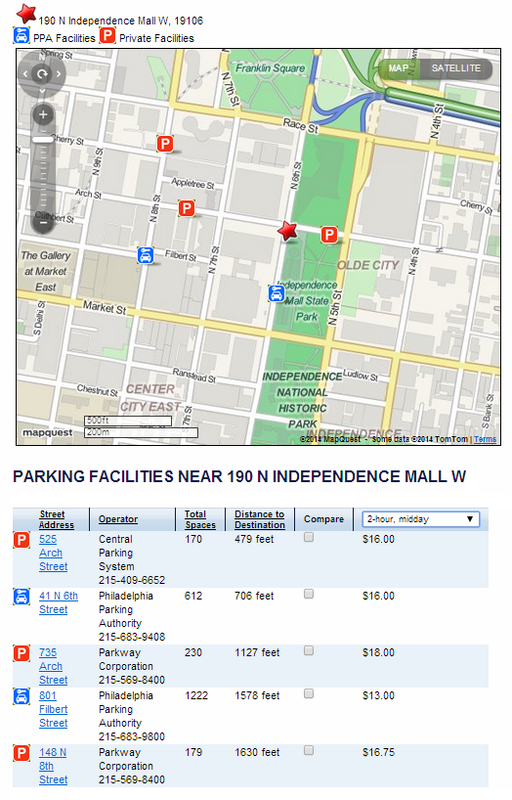 The below map, from the Philadelphia Parking Authority website, shows nearby surface lots and garages. Our office is represented by the red star.